2018 Ultimate Tailgate Recap: $375k Raised for Food Rescue & Hunger Relief! 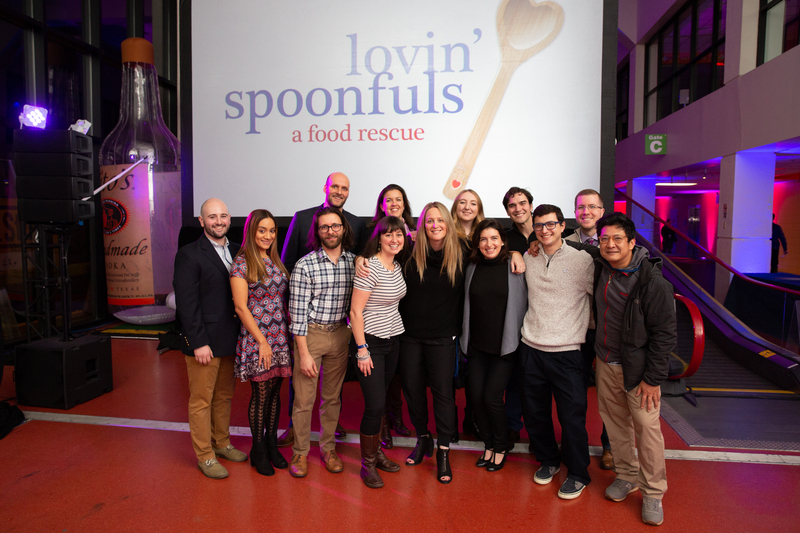 Our 8th Annual Ultimate Tailgate Party happened this past Sunday, bringing together dozens of New England’s best chefs and hundreds of generous Lovin’ Spoonfuls supporters for a delicious evening of fundraising. We’re thrilled to share that we raised a grand total of $375,000 which will help us expand our programs, rescue more food, and serve more people in need! It was a spectacular end to a record-breaking week in which we rescued our 11 millionth pound of food. 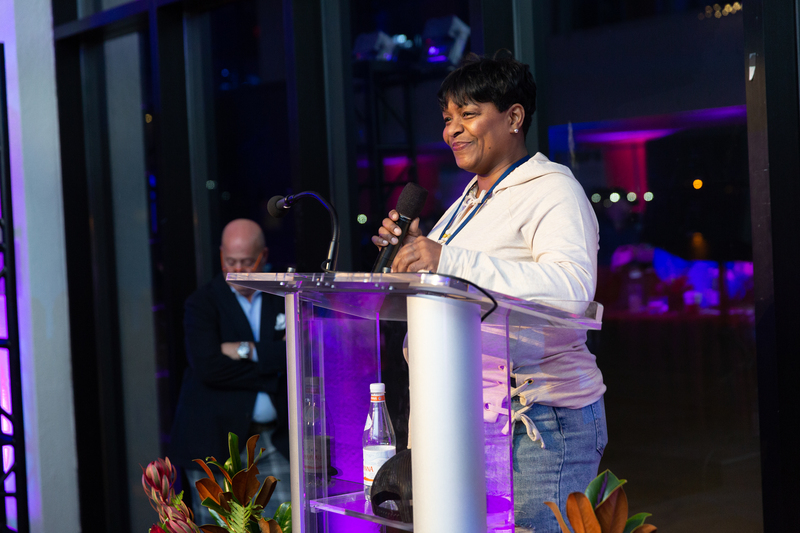 This event would not have been possible without the support of more 20 generous sponsors, including Platinum Sponsor Bain Capital Community Partnership, and Gold Sponsors Credit Suisse, Elizabeth & James Eisenstein, and Tito’s Handmade Vodka. We also had an amazing, enthusiastic team of volunteers who helped set up and kept the event running smoothly all evening long. Board Member Andy Youniss (and 2017 Thomas M. Menino award honoree) kicked off the evening with a spirited welcome, followed by a presentation of the 5th annual Thomas M Menino Award to Senator Elizabeth Warren. Senator Warren graciously accepted the award via a thoughtful video message. 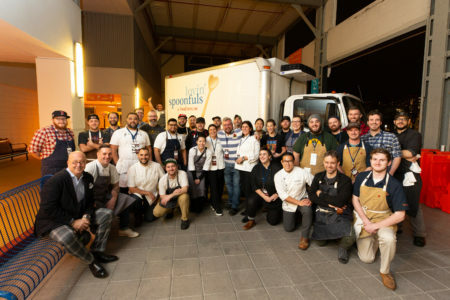 Later in the evening, Culinary Board Member Andrew Zimmern kicked off our speaking program – reminding us all how food connects communities and how the work we do is needed, not only to feed people, but to connect people. Vinny Vassallo, one of our 9 Food Rescue Coordinators, followed with a speech illustrating the day to day impacts of our work. Following Vinny, Maria Flores, a client of our beneficiary agency Roxbury Youthworks, spoke about her experience receiving food from our deliveries, and the incredible impact the food we provide has had on her family. Following Maria’s heartfelt speech, Andrew Zimmern led an enthusiastic appeal for support of our work! We are so grateful to the chefs, beverage teams, sponsors, speakers, volunteers, and everyone who made the evening a resounding success! Each truck we put on the road rescues more than 500,000 pounds of fresh, healthy food each year — and we keep them on the road with your support. Follow along on Instagram, Twitter, and Facebook as we post photos from the party in the coming days.